Live and Uncensored! : All Alight Over 'Avatar'? Go Be One Then. 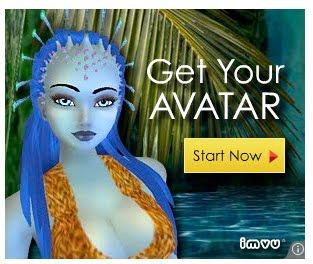 IMVU, which seems to want to corner the market on deluded fantasies of virtual identity, has seized a most golden opportunity with its latest slew of display ads: piggybacking on the popularity of a certain Disney James Cameron film.